As part of a large acting dynasty – her dad is Sandy Strallen, her mum Cherida Langford, her aunt Bonnie Langford and her sisters are Summer, Scarlett and Saskia - Zizi Strallen has never had far to look for inspiration and support in her own stage and screen career. 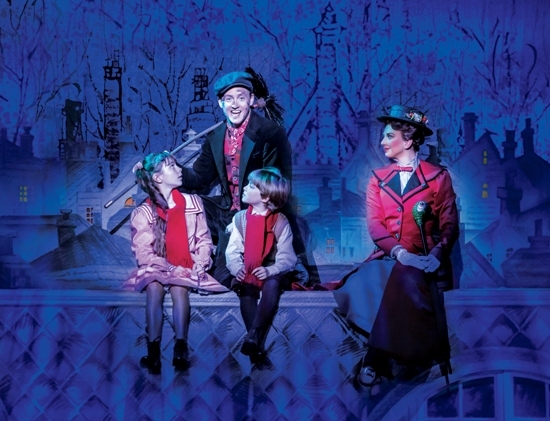 This year the multi-talented actor, singer and dancer is following in big sister Scarlett's footsteps by taking on the title role in the Mary Poppins stage show which can be seen at Birmingham Hippodrome from March 9 till April 23, 2016. You come from a big family of actors. When did you first know that you wanted to follow in the family business? I think I've always wanted to. When I was 11 I got into quite an academic school, whereas both of my sisters had been to arts educational schools and done vocational courses. But eventually I ended up going into arts ed anyway because, even at that age, I could tell it was what I wanted to do. As a child do you remember going to see other members of your family performing? My mum didn't actually do all that much when I was growing up. She was in more shows when my sisters were younger, although I do remember seeing her in Dr Doolittle at the Hammersmith Apollo. It's lovely to know that my parents are such good performers, though. What's your own earliest memory of performing to an audience? Gosh, I started so young I don't really remember! The one I remember being really huge was when I was four years old and I performed with Michael Barrymore at the VE Day celebrations. We did a big song and dance number called How Lucky Can You Get? and at the end of it he picked me up and dropped me into the orchestra pit where one of the dancers caught me. It got a lot of attention in the papers at the time, so that was quite significant for me. Do you think we'll ever get to see the Strallen sisters perform together? I don't know. One day we might do a concert together or something like that, but so far we've all tried to make sure that we stay quite individual. Also, more practically, we're always busy rehearsing for different things and we live quite far apart now, so it's would be more a question of whether we could find the time than anything. You've performed in major dance shows like Matthew Bourne's Car Man as well as taking on big acting roles like Mary Poppins. Do you see yourself as more of an actor or a dancer, or are you evenly split? I've always tried to work really hard at everything and to try my hand at any opportunity that comes up. I don't want to pigeon-hole myself because there are lots of other people who will do that for me, so I try to keep as many doors open as possible. If you could play any part in any show, what would you choose? I get asked this a lot and I never really know what to say, partly because there are brilliant new shows coming out all the time. 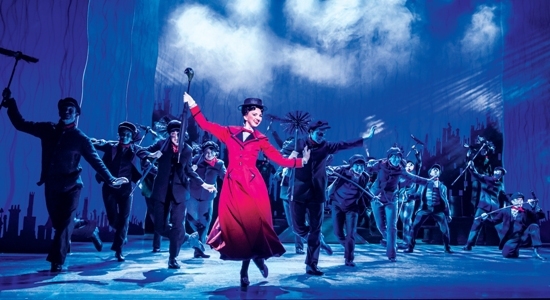 What I can say is that if something else came along like Mary Poppins, where I get to dance, act and sing my socks off, I don't think I would be able to turn it down! This isn't your first experience of being involved in a Disney production – you also recently had a brief appearance in Kenneth Branagh's Cinderella. Everything looked so beautiful on screen – what was it like actually being there? It was absolutely incredible! I was one of the prince's guests in the ballroom scene. The whole set was stunning. I was doing very long hours in a corset and a crinoline dress and very uncomfortable shoes but it was all worth it because we looked so beautiful. I felt like an actual princess. After Mary Poppins, will you be looking to do more musicals or maybe something a bit different? I would love to do more screen work. 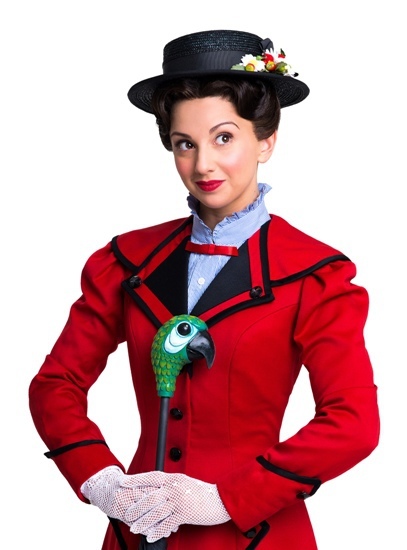 I've done quite a lot of work in the dance industry now and Mary Poppins is one of the biggest female roles in musical theatre, so I feel like the screen would definitely be my next big conquer! Is there anywhere in particular that you're looking forward to visiting during your stay in Birmingham? I do love the Bullring. I'm definitely hoping to get some shopping done while I'm in Birmingham. Do you have a favourite Mary Poppins quote? I think my favourite line is when Mr Banks says, "Mary Poppins, would you kindly explain?" and I say, "First of all, I'd like to make one thing quite clear: I never explain anything." It's just such a brilliantly cheeky, very Mary Poppins thing to say.